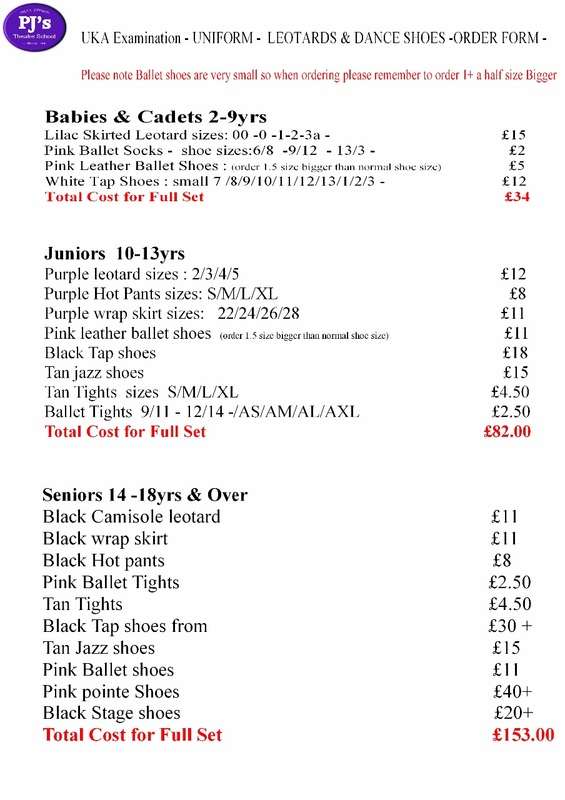 See below for price list. Summer uniform will be leotards & hot pants with tan tights. 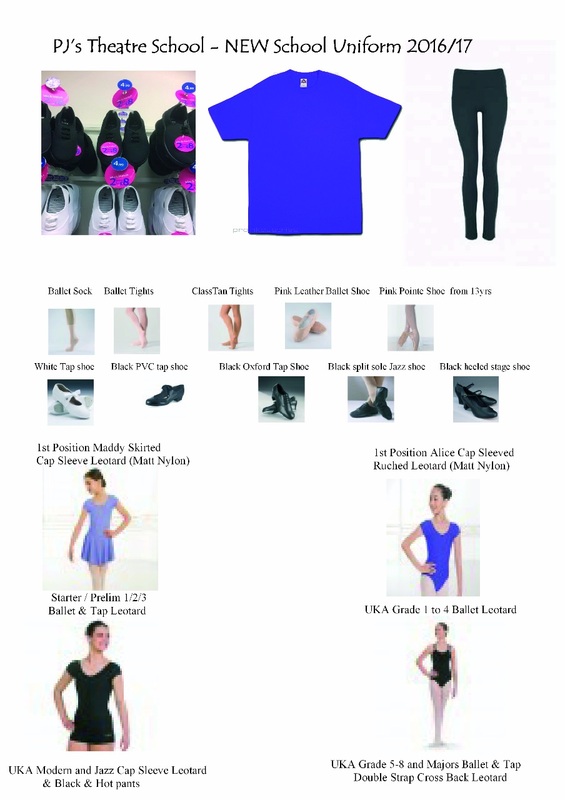 Please note you don't need all this uniform at once- LEOTARDS & SHOES are most important.